Do you or your client have a well-established or a startup? If your answer is positive, then I bet you strive to acquire new customers and retain the existing ones. In today’s business environment, a carefully constructed, optimally-planned website is essential. If you hope to make the search for clients a successful one, chances you need a high-quality website. The following WordPress themes are designed to give you the necessary website-building tools. The themes listed were chosen not just by chance. They are perfect for the creation of the websites for startups or small businesses. More specifically, they aim to help increase sales and revenue. As you browse through this list, you’ll more than likely find more than one theme that will serve you well. Deciding which one to use will be a breeze. Since these are all premium themes, it’s highly unlikely you’ll regret the choice you make. How is this theme good for startups and small businesses? With Be Theme, there’s more than one answer to that question. 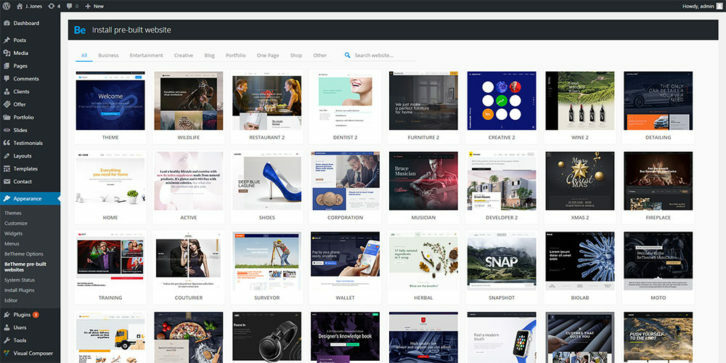 There are over 260 reasons why this theme is a great choice for building a startup or small business website. Be Theme is responsive, WooCommerce ready, and loaded with page-building options and special effects. You can have a website up and running in a few, short hours, and you won’t have to write a line of code. The core feature is the large selection (260+ and growing) of pre-built websites. Each is professionally designed, and most of them are multi-page. In addition to providing users with excellent layout concepts, these pre-built websites have the functionality you’ll need embedded in them. The need to manage huge amounts of website data can become a formidable task. One you generally don’t look forward to. It’s just not numbers either. Statistics, labels, categories, and other important data types often come into play. An obvious solution is to invest in a data management tool or plugin. Unless what you buy is intuitive to use, you may have to put everything else on hold while you figure out how it works. wpDataTables is so easy to use, that you might be fooled into thinking that this plugin can read your mind to see what you want done. That’s not really the case of course. Still, with wpDataTables you can organize any amount of data into interactive, responsive, and easily editable tables and charts. And you can do this without any need for coding whatsoever. wpDataTables 2.0 brings more than 20 new features to the table, along with major improvements in many of the more popular 1.0 features – in response to what customers have asked for. As a web designer, you should also devote yourself to managing the accounting affairs of your business. You may feel that you’re in a strange territory. You may or may not be a “numbers person”. But, there are various tasks that you need to do. For example, submitting quotations and invoices. You might also have to provide information on discounts, and even track the time spent on various tasks. This seems far from what you do best – design. Time tracking and invoicing go hand in hand; and having a good method for tracking your time, will save you time. By investing in a high-quality, easy to work with time tracking app, you find you have more time to do what you do best. You will also have more leisure time as well. There’s plenty of time tracking, invoicing, and other project and business management software products on the market. Here are 10 of the best; guaranteed to give your productivity a definite boost. FreshBooks is a cloud-based, intuitive invoicing app designed for use by small business owners. It is an effective tool for freelancers as well. FreshBooks does more than collect the details you need to include in your invoices. You can add your brand’s color scheme and logo; thereby giving each invoice a unique, professional look. When you submit an invoice (via email), this app informs you whether your client has seen it; obviating the need for a follow-up query. FreshBooks even goes a few steps further. In fact, it has numerous features that will help you streamline the business side of your work. You can set it up to receive online payments, you can check the dashboard for an overview on how your business is doing, and late payment notifications can be automatically sent out. You can even use the FreshBooks mobile app to take pictures of receipts on your phone to better keep track of your expenses. One more thing; FreshBooks also manages your invoice time tracking needs. It’s human nature to forget when you did some of your past activities. This is especially bothersome when trying to track time. In such cases, no wonder why Timely has become one of the best-loved time tracking apps on the market. Its new feature, Memory, automatically tracks every file you work on, the start and end times of your tasks, the websites you visit or apps you use. All this information is organized and presented in an intelligent timeline. Your website’s performance depends largely on the hosting service you’ve selected. If the service turns out to be inadequate, you may have to put up with slow page loading or capacity issues. Even downtime more than what you’re able to tolerate. More and more business owners are becoming aware about the need of creating quality content. Few of these owners understand the impact a hosting service can have on their website’s performance and uptime. It’s natural to take pricing into account when selecting a hosting service. Still, pricing should always take a back seat to performance. It should never be the primary driver behind making a selection. There are plenty of options hosting companies that would like to offer their services to you. This week, we’re going to take a close look and 5 of the very best. SiteGround has grown from a 3-person startup in 2004 to a hosting company that currently employs over 400 people in five data centers located on three continents. They are pioneers in the art of developing own advanced web hosting security solutions. The result is extreme data and website protection that guarantees 99.99% uptime. SiteGround have also developed their own backup system that creates backups with minimal resource usage which allows rapid restore in times of need. Their always run the latest software on their servers (Apache, PHP, MySQL etc.) and provide the latest speed and performance technology: SSD drives, NGINX, hhtp2, PHP7. On top of their in-house WordPress caching solution – the SuperCacher manages to improve a website’s performance. Their platform is built on top of the cutting edge LXC (Linux containers) technology. The overall effect from a customer’s standpoint is exceptional performance and stability. Freelancing is not always a bed of roses. Freelancers enjoy more freedom in terms of their work habits, but that freedom can come with a price. They often face challenges that office-bound workers tend to avoid. More specifically, distractions and occasion lapses in discipline and self-control. If these challenges are not faced head-on, a lessening in productivity can result. And this can lead to extended work hours, reduced income, or both. Today, we are offering tips designed to help a web design freelancer meet and overcome these challenges, while enjoyiing a boost in productivity. Tip #1) Get your projects off to a quick start with the latest Be Theme pre-built websites. Don’t start from scratch like these guys who invented a new way of designing websites. Be Themes’s pre-built websites make it possible for you to turn out work of the highest quality, and save a ton of time in the process. You can, for example, skip wireframing, prototyping, and best of all – coding. Pre-built websites are quick and super easy to install, as you can see by watching this cool 40-second video. One more advantage: you won’t end up looking like these guys! 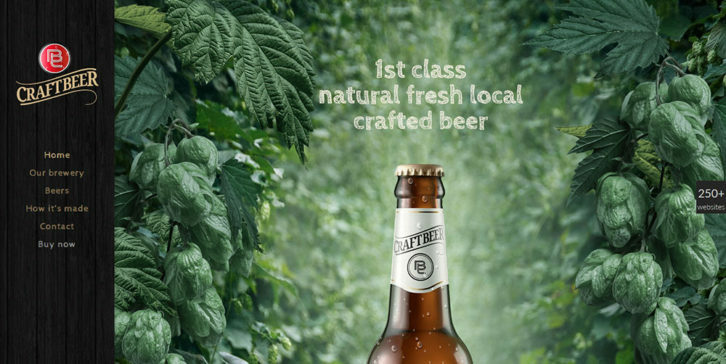 This Craftbeer pre-built website features large, attractive images on every page. A parallax effect ensures that the emphasis is always on the product. The Muffin Group team knows how to attract customers. It shows! 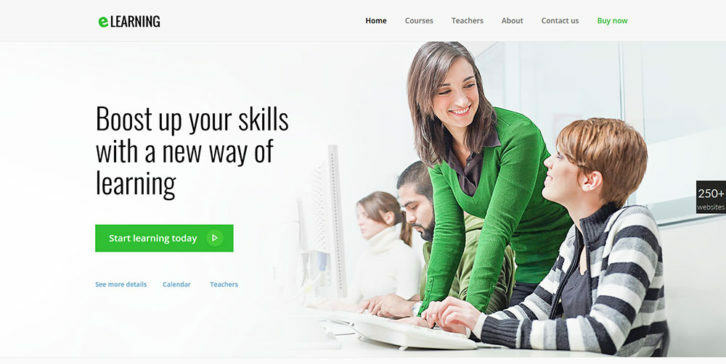 eLearning has become super popular the last few years. If you have a business in this rapidly growing niche, depending on a so-so website would be a shame. This pre-built website design is fresh looking and easy to navigate.